This week, I'm proud to say, I actually took a lot of pictures! I got to pick through some for each boy instead of resigning myself to the maybe-one I got of each, like I so often do. This week, we've been outside morning to evening. Our front yard is scattered with buckets, flip flops, discarded toys and clothing (I keep finding the boys outside naked, despite repeatedly telling them that they need to remain dressed when outdoors.) All my little children smell like sweat and sunscreen, and have sticky bits in-between their fingers from popsicle drippings. I have to sweep a dozen times a day because of all the sand being tracked inside and our house is buzzing because flies keep sneaking in our open door. So basically, things are really good. In preparation for Harry Potter's birthday, I've started listening to the audio books again, and my house tends to stay cleaner when I have an audio book I'm engaged in (because it's easier to clean while listening than while reading a physical book or watching a show). 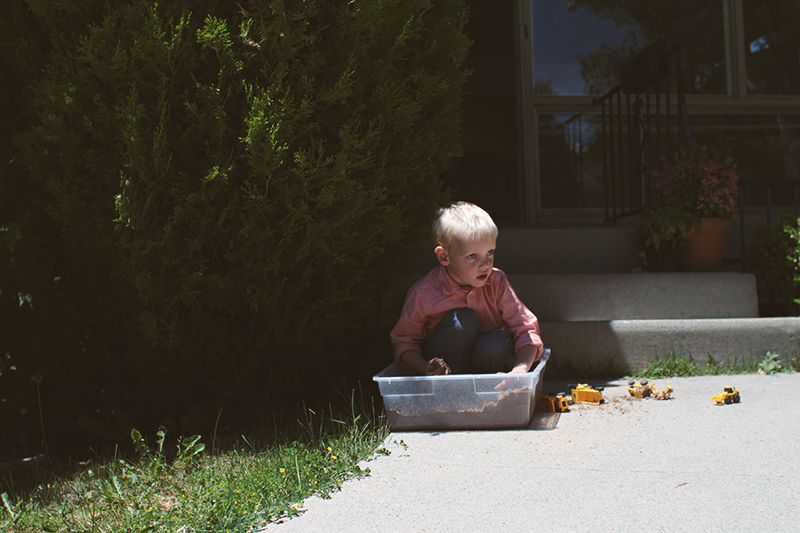 Sitting in a tiny sandbox outside the front door. 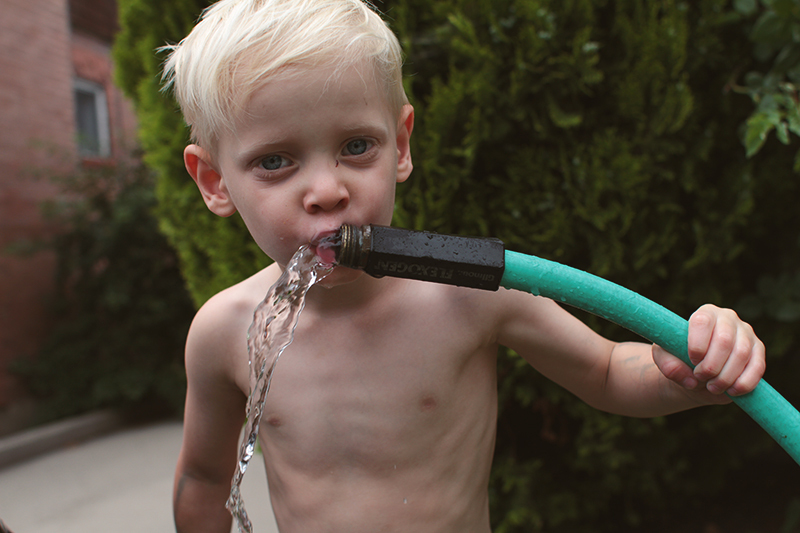 I think we can all agree, hose water is cooler and more delicious than tap water. Sometimes, I am a cruel mother and don't immediately pick him up from his bed. Instead, I look at him from across the room, and take his pathetic picture. 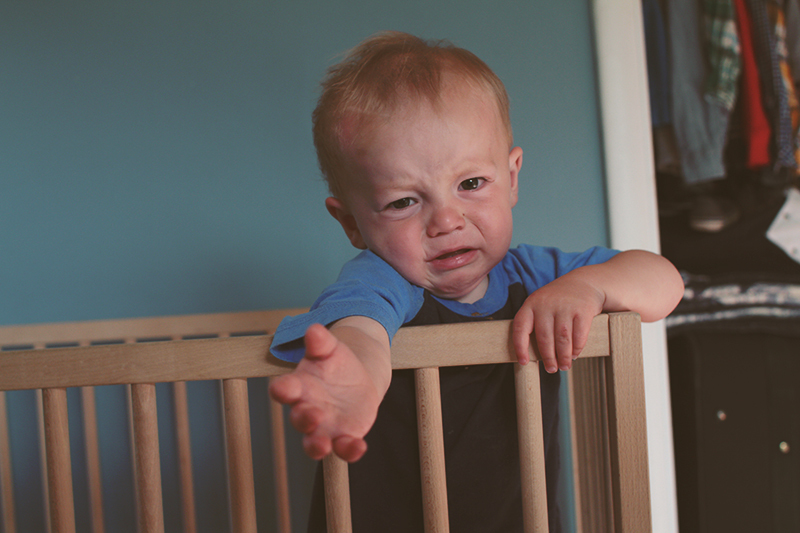 I think I have to report you....little August shouldn't cry! I really enjoyed your last couple of posts! I miss those boys! Summer is looking fun and warm! The picture with the boys on the porch and August is smiling in the middle, I think it is the first one. It's GOLD. I glad the boys are enjoying their bikes. James never was coordinated enough for the balance bike and now I'm hoping that he gets a bit of umph in his lazy bones to push his bike that he has. He really doesn't know what he is missing out on. He just needs to see M and G on their bikes and then maybe he would be motivated! Love you guys! BTW- Chris will be in town on June 20-24th.